The Clay Shoot is a unique and entertaining annual fundraiser that lets participants support the chamber with a day out on the range.. the shooting range! 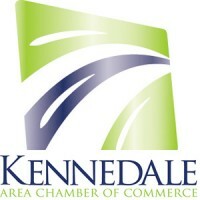 Friendly clay competition, prizes for teams and individuals, breakfast and lunch are all included, and all the proceeds help the Kennedale Chamber continue our efforts in supporting and developing the local economy. For registration information about the 2018 event, click here. To find out more about sponsoring the 2018 Clay Shoot or another chamber event, please contact us. Sponsorship in the clay shoot includes great exposure for your company on all of the event advertising & promotion, as well as at the event itself. We have levels that can fit any business, and can customize a sponsorship package to fit your specific needs.